A hot sandwich for breakfast? Grilled vegetables as a side dish for dinner? Or maybe sweet waffles for dessert? 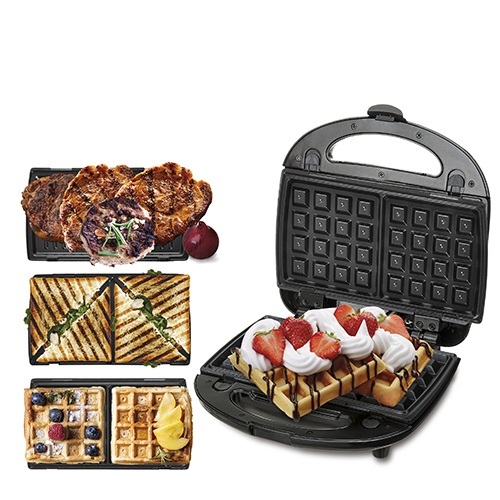 Thanks to the sandwich maker 3in1 CR 3024 with 1000 W of power you are able to prepare each of these dishes in the blink of an eye! The secret are the three exchangeable plates for various usage. Do you want to find a way to save some space in the kitchen? Do you enjoy eating and you cannot limit yourself to one device, thanks to which you could prepare your favourite snacks? 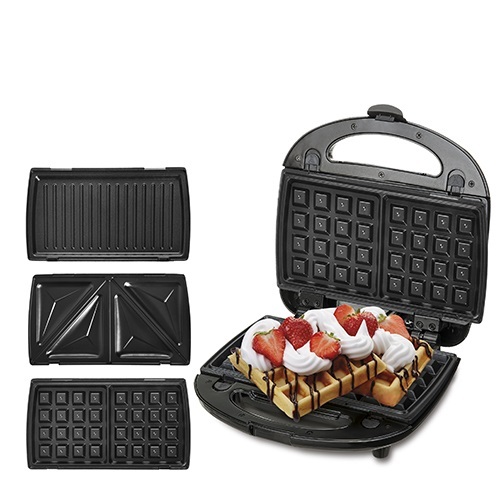 Are you interested in a multifunctional product that will allow you to prepare dishes for every meal from breakfast to dinner? 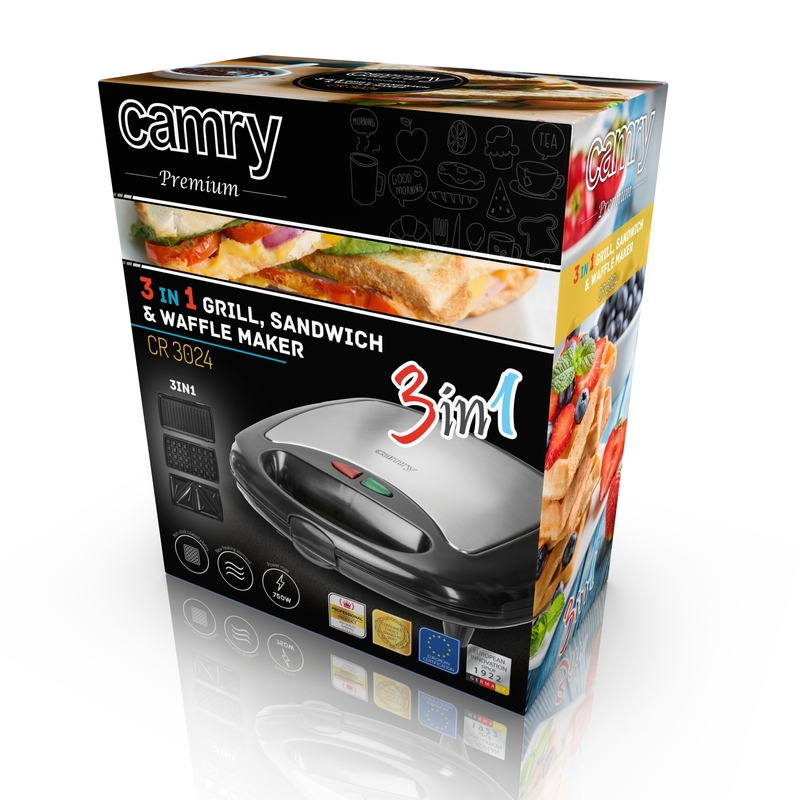 We present the 3 in 1 grill, sandwich and waffle maker CAMRY CR 3024, which combines three different functions. This is simply the perfect solution for the greatest foodies who love food and who like to experiment in the kitchen! 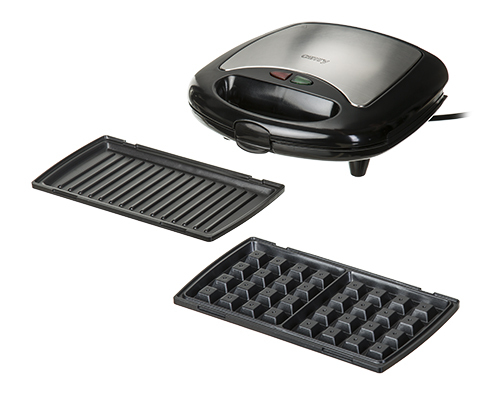 The sandwich maker 3 in 1 is the kind of device that can be left in an easily accessible place on the kitchen counter so that every household member can prepare a favourite snack at any time of the day. An elegant silver-black casing will look good both in the kitchen in a retro style, as well as in a more modern one. 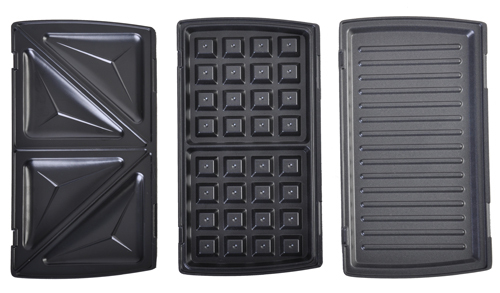 Slide-resistant feet make it easier to use the product on any surface. The buckle will ensure safety and prevent accidental opening of the device. When you do not use the sandwich maker, you can also store it in an upright position, which will save even more space on the countertop! 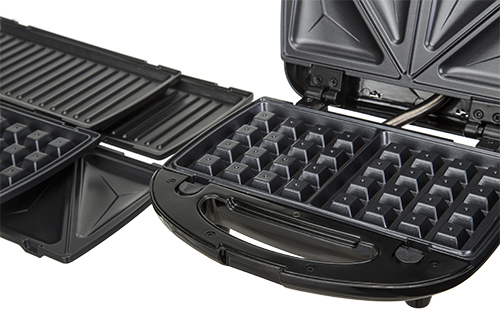 Sandwich, grill and waffle plates are very easy to replace and are covered with a non-stick coating. Thanks to this, cleaning them also does not require a lot of effort; you need just a paper towel! 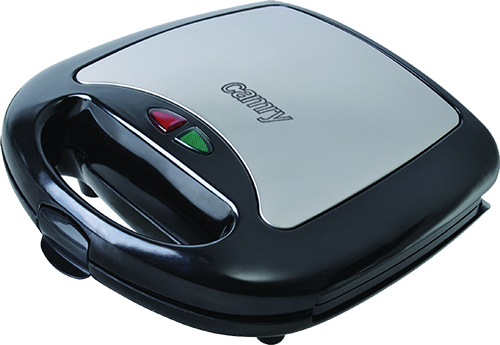 The control lights on the top of the sandwich maker lid: power indicator (red) and ready indicator (green) signal the device's readiness for use, and are making the control of the device very intuitive. Maximum power up to 1000 W allows for quick heating of the device, just after a few moments, you will prepare grilled vegetables or meat for dinner. The heat-insulating handle and housing protect against burns. Just prepare your favourite vegetables or ingredients for toasts and in a few moments, you can enjoy your favourite snacks. 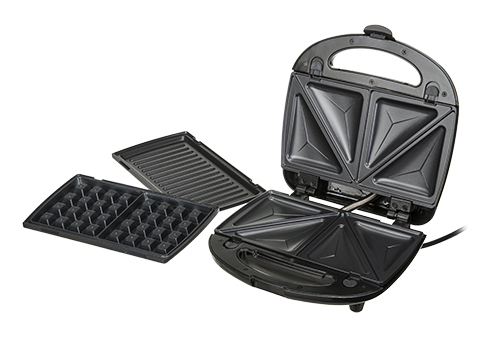 What is more, we have hidden a few recipes for the perfect waffle cake in the sandwich maker's manual!